In a brand new series for ITV1, Ray Mears takes viewers on an incredible, eye-opening journey in high definition, shot at beautiful locations around Britain. Wild Britain With Ray Mears sees the wildlife expert uncover some of our finest habitats and rejoice in our fascinating wildlife, showing viewers how we can all find our own relationship with the wild, even in places close to our homes. The series is a co-production between ITV Studios and leading multi-channel broadcaster UKTV. 6 x 30-minute episodes will first be shown on ITV1 beginning early-October 2010, followed in 2011 by extended 60-minute episodes with exclusive additional content, which will be broadcast on UKTV’s natural history channel Eden. Each episode of the series is themed around a different habitat: Deciduous Woodland, Heathland, Meadows and Farmland, Wetlands, Shingle Shore and Moorland. Immersing himself in nature, Ray reveals vital links between the plant, animal and insect worlds, as well as the role of man in the evolution of our ever-changing landscape. Overall, Ray looks at how the wild animals and plants of our countryside reflect five millennia of human history. Ray’s passion and knowledge invite viewers to discover a hidden world which lies just beyond their doorstep as he explores each location and delves into the heart of each natural habitat. And, using his expert field craft and tracking skills, Ray seeks out the species which best define each location as the cameras capture incredible wildlife behaviour. Wild Britain will be a first for Eden; the series, which is a co-production with ITV, will deliver us an hour-long version of classic Ray Mears. It will give Eden viewers a chance to witness additional and exclusive sequences from Ray, as he gives us his unique insight into the world of Britain’s most beautiful habitats and its wildlife. Wild Britain came to us as a perfect fit for Eden. Ray makes fantastically engaging and entertaining television that totally connects with our viewers. This is a pure celebration of Britain’s habitats, their wildlife and their heritage, all delivered with Ray’s unbridled passion and flawless natural history photography. This entry was posted in Ray Mears on October 1, 2010 by Woodlore Team. I would like to watch the first episode of the new series, but when I click the programme I get repeatedly the message, video not found. Is it not possible to watch this programme on the internet because I am from Holland???? Can’t seem to find a book to accompany the series, Anyone got any idea if there is going to be one available? 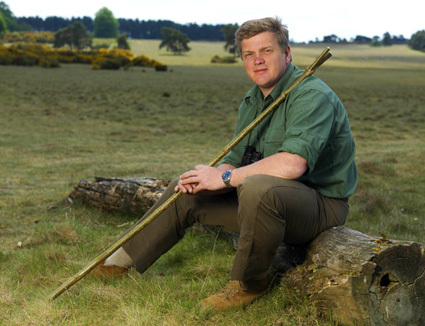 The ever inspiring ray mears will no doubt push us further to the natural world around us. Even hard seasoned couch potatos have trouble refuting ray’s allure to nature and wildlife. One feels almost like a stranger to the element which is a shame especially for younger generations. Glad to see ray back again. Simon,I’m jealous you lucky so and so! Yay! No wait … argh! I’ll be missing Episode 4 because I’ll be watching Ray LIVE in Belfast. Oh well, the video recorder has a job to do. It’s a win all around then! I couldn’t agree more with you Nick. Ray makes you want to get out there and get your boots muddy! Please let it be on a Saturday night! Something worth watching on the telly at last !Its time for some real ‘Reality’ TV ! I can’t wait for this programme. I’ve always thought Ray should do more on wildlife, especially in Britain. With his vast knowledge of the natural world and tracking skills, who better to take us on this journey than Ray?